The Stay Cool Bonus Pack provides protection, ease of use, and comfort, all in one product! 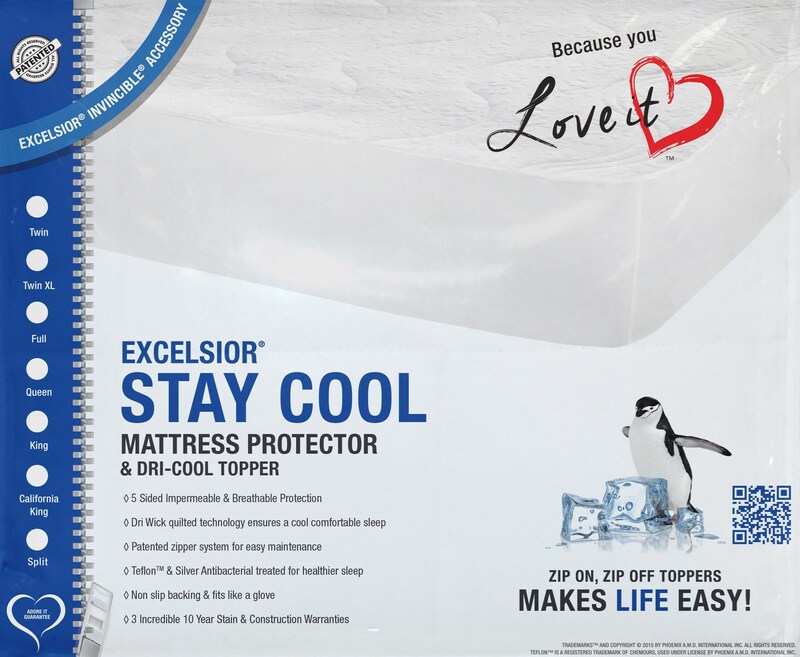 The Staycool is part of the unique patented Excelsior sleep system, that includes the Invincible Mattress Protector PLUS a Dri Cool mattress topper, all for an incredible value! • Dry wick technology, that provides a cool, comfortable sleep. • Treated with Teflon and Silver Antimicrobial. • Fully breathable. Perfect for use during the Spring and Summer seasons, and a favourite of women in the 50+ crowd. The Stay Cool comes with an Exclusive ALL Stain coverage and our 30 Day Love it/Adore it Guarantee! 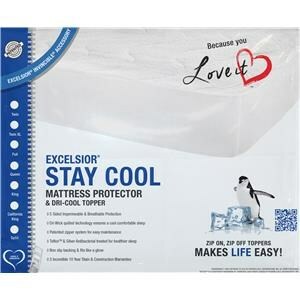 The Stay Cool II 16" King Mattress Protector by Excelsior at SlumberWorld in the Honolulu, Aiea, Hilo, Kailua-Kona, Maui, Hawaii area. Product availability may vary. Contact us for the most current availability on this product. The Stay Cool II collection is a great option if you are looking for Bedding in the Honolulu, Aiea, Hilo, Kailua-Kona, Maui, Hawaii area. Browse other items in the Stay Cool II collection from SlumberWorld in the Honolulu, Aiea, Hilo, Kailua-Kona, Maui, Hawaii area.